Whenever I hear the name Misbah-ul-Haq, two incidents spring up in my mind. 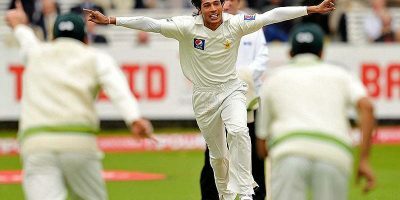 About six years ago, these moments to me showed Misbah in his finest and worst at the same time. At a time when there are rumors that he is going to retire soon, these moments demand a iteration from my side. First was his failed attempt to hit a scoop against Joginder Sharma in the WT20 final in 2007. 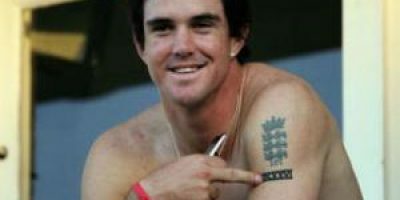 As a cricket fan that was a poignant moment for me. India and Pakistan, probably two of the most passionate cricket nations in the world, who had been ruefully and shamefully eliminated from the Caribbean World Cup had just now contested a very closely fought final and one side had just crossed the line. Amid all the disgust and all the celebrations, one man sat on his haunches, reflecting on what had just transpired, what could have been and how all the hard work had been ruined. So close, yet so far. One nation joyous, one nation broken, one man devastated. The second incident took place in Germany. West Indies and Pakistan were engaged in a one day international series and I came across two Pakistanis in the hostel I was staying in. One of them supported Lala (Shahid Afridi) and the other supported Misbah-ul-Haq. As the battle between the teams kept boiling, so did the banter between our two gentlemen. It was at that moment the Misbah supporter said, “Afridi is like a Bazooka, he seldom fires although he fires big, and Misbah is like a machine gun, he fires consistently”. It was a great insight. A once-in-a-while showstopper pitied against a consistent but quiet batsman. And it is these two incidents that for me define whatever I have followed of Misbah’s career in the last eight years. There was forever a feeling that odds were always stacked against him, this became even more apparent when he became captain of Pakistan in shorter forms of the games replacing Lala. Forever he was seen as the outsider, someone not meant to be there, someone not meant to replace the favourite son and someone not meant to be a leader. This was despite the fact that a former coach advocated him as the finest cricket brain in Pakistan. It forever felt like he was up against a wall, banging his head, proving that he belonged, and piling success after success only to be told by some people that he did not belong. But as rumors spread that he might hang his gloves after the Anglo-Pak series in Emirates, there is a feeling he finally might have won over his critics. When did this happen? Was it during the world cup in Australia, when Misbah unleashed Wahab on Australia to revive memories of the glory days of Pakistan cricket? Was it when he unleashed a storm on Australia to match Sir Viv Richards’ record for fastest test hundred? Or was it when the weight of his achievements, the calmness of his approach and stability of his leadership finally started to weigh heavier than all his criticisms. The enormity of achievements of Misbah, the captain, can’t be measured by stats alone. It can’t be appreciated enough even if we consider that Misbah’s childhood dreams to play cricket were nearly cut short by his father. It can’t be appreciated enough even if we consider that Misbah hails from Mianwali, a small non-cricketing town which has surprisingly produced Pakistan’s two most successful captains. Misbah’s accomplishments are more than the stories of his past, more than his near dead aspirations and more than his undying love for the game that sustained him all through it. Misbah’s accomplishments could only be measured by taking into account what resources he was given and what he managed out of them. Taking over the test captaincy in 2010, he was given a team handicapped with player suspensions, shorn of its home advantage and burdened with acts that should have not taken place. To convert that team into more than a respectable unit, make a fortress at a home-away-from-home and become the anchor of a fledgling team with a not so strong batting are some things that make him stand out. That he did it with everything that went around him just makes it all the more special. The fact that sometimes he showed glimpses of how good he could be if others around him supported his performance, add all the more sweetness to it. In many ways, his story is not ordinary; it is a fable of hard work coming through and of perseverance pushing one to become a messiah from a pariah. And it is exactly that which makes his story ordinary, because his success inspires us, inspires us to stand up and choose and tread the path of our dreams. It teaches us to make sure that we leave no stone unturned, no lesson unlearnt and no effort un-put as we strive to achieve what we want to. His story is of an ordinary hero who has gone on to achieve extra ordinary things. 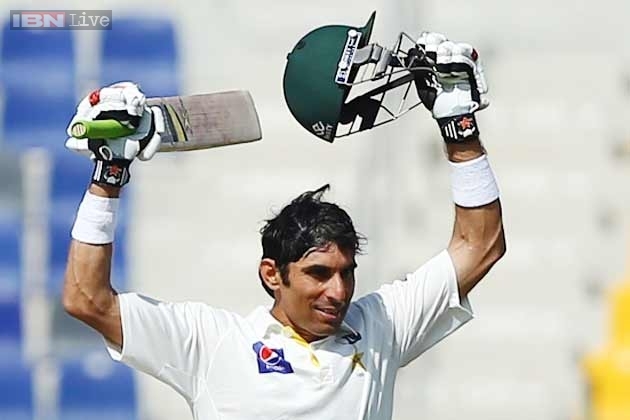 And it is for these sole reasons, that he is my hero, he is my inspiration, he is someone who has revived my interest in Pakistan cricket again and he is Misbah-ul-Haq, the hero cricket needed.